I needed a sympathy card last week and had this set, Stain Glass Rounds, still sitting on my desk from last month's Video Kit Club so decided to use one of the other stamps in the set. 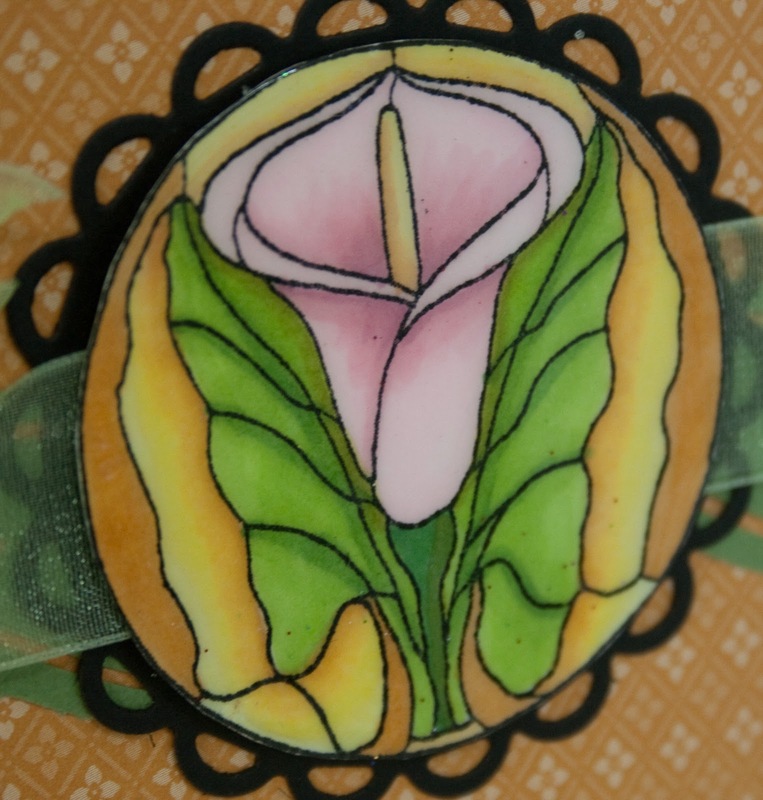 This time I stamped on Neenah cardstock and used Black Memento ink and colored with my Copics....I really enjoyed coloring this lily and the pinks. Then I cut it out by hand and covered the top with Versamark Ink and embossed it with Super Thick Clear Embossing Powder, so it's real shiny. I cut out the Lacey Circle Nestibilitie with my "NEW" Grand Calibur and layered the lily with dimensional tape. The sentiment was embossed with Black Detail....the rest is pretty straight forward. Come back tomorrow to see my "One Little Word" album that I finally finished...It was in the working for a couple of months, but it is finally done and I'm really happy with it. Here's a look at my daughter and her boyfriend ready for the Military Ball...they looked so beautiful! 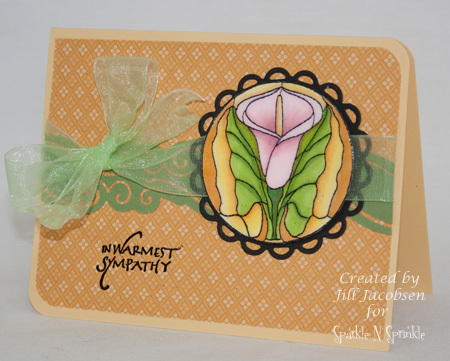 Very pretty Jill - I always have such a hard time with Sympathy cards. A perfect sympathy card! The stained glass look is wonderful.